Teaching is a rewarding yet difficult career; long hours creating lesson plans and grading papers, finding the best methods and techniques to impart knowledge to hungry young minds, it can feel overwhelming at times. Many teachers feel there aren’t enough hours in the day to stay on top of everything and are looking for ways to improve the quality of their teaching without breaking the bank. 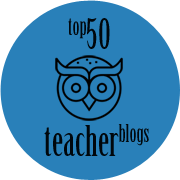 In this article, we’ll be looking at some of the top teacher blogs available online, sites which aim to inform and inspire educators. 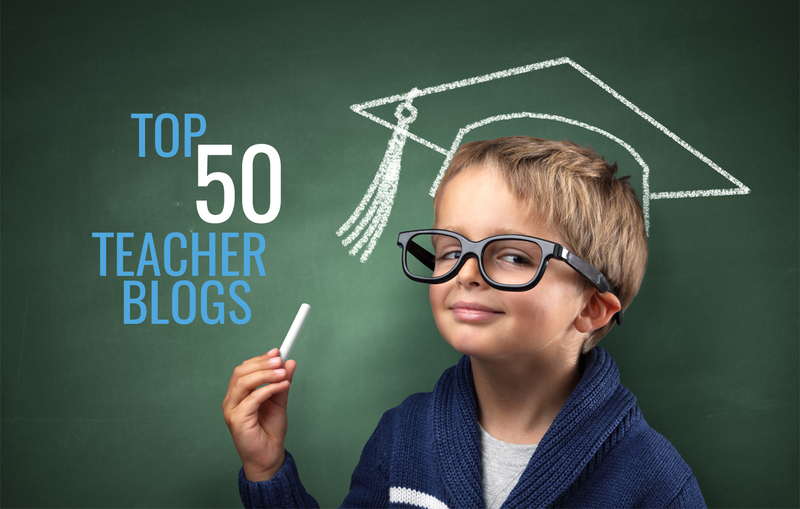 From sample lesson plans to the latest teaching news, and with every educational level covered, there is a blog in this list for every teacher. These blogs range from professionally run sites to amateur writing, each with their own benefits to share with the modern educator. No matter what you’re looking for, these sites have what you need to produce better lessons, create a more harmonious classroom, and to help yourself become a better teacher. 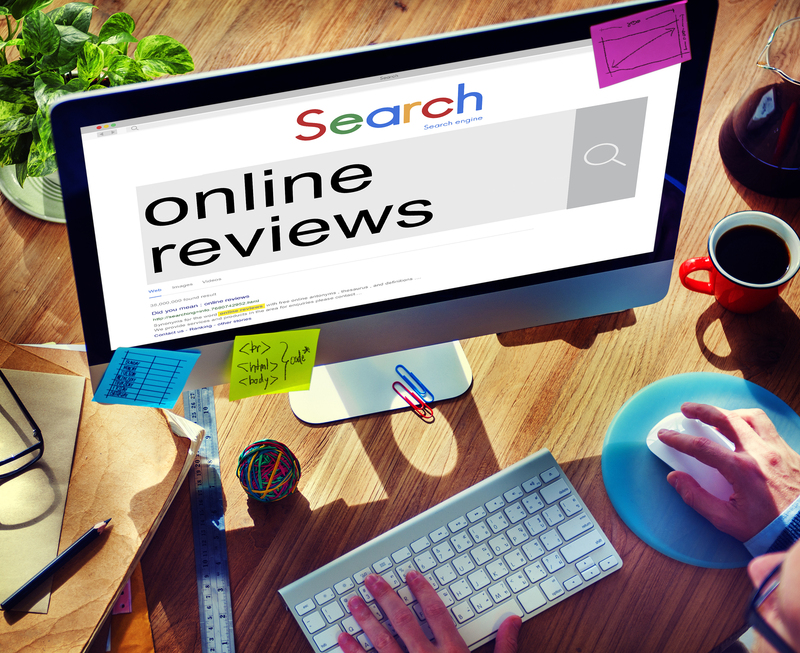 Each blog has a rating from 1 to 10, to give you an idea of the overall quality of the site. 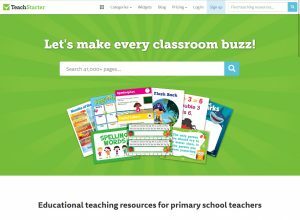 With a blog known as ‘The Chalkboard,’ TeachStarter.com offers teachers a host of simple and entertaining activities for children, which can be performed both in and out of the classroom. 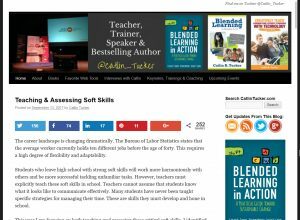 The bright, fresh layout is easy-to-navigate, and the content covers everything from parenting issues, managing the classroom and professional development, for teachers looking to improve themselves as well as their lessons. 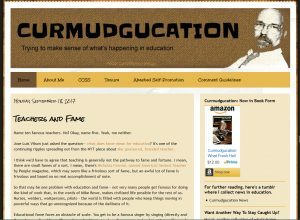 Written in a friendly tone, this blog is a welcoming space which invites educators to talk with each other on a broad platform. In an increasingly technology-dependent world, the classroom has to evolve to keep up. 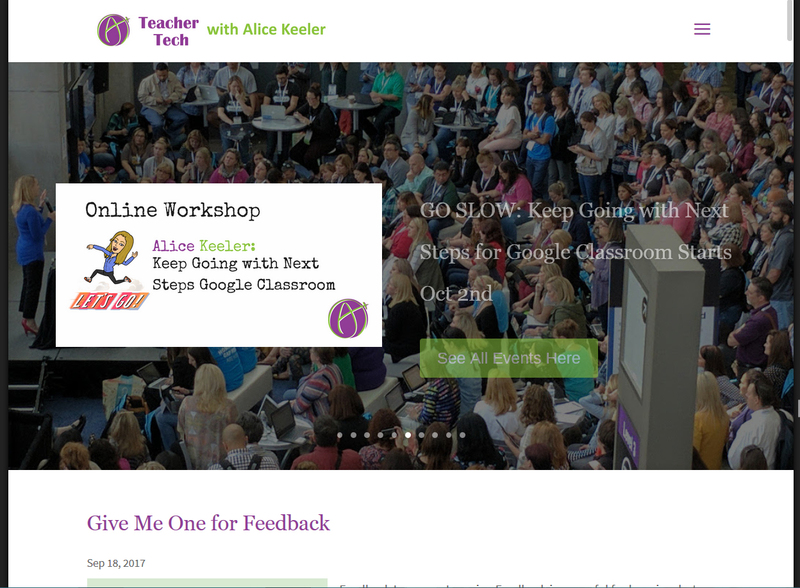 At AliceKeeler.com, the focus is on the way Google Classroom can help create a more cohesive teaching and learning environment, but the advice here is not limited to this one platform; guides on public domain use, how to effectively grade work, and digital communication are all useful to modern educators. The site also offers links to several of Alice Keeler’s popular teaching books for those interested in learning her methods. 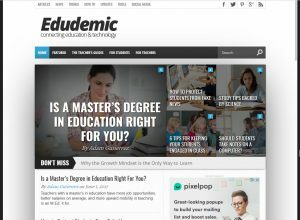 In a similar vein to AliceKeeler, DitchThatTextbook.com encourages teachers to march into the technological world as a means of imparting knowledge to students. The site focuses on practical methods of teaching that can be implemented right away, without intensive preparation, making it useful for educators seeking immediate results. It promotes freedom in teaching, custom-designing lessons for students and encouraging their feedback for improvement. 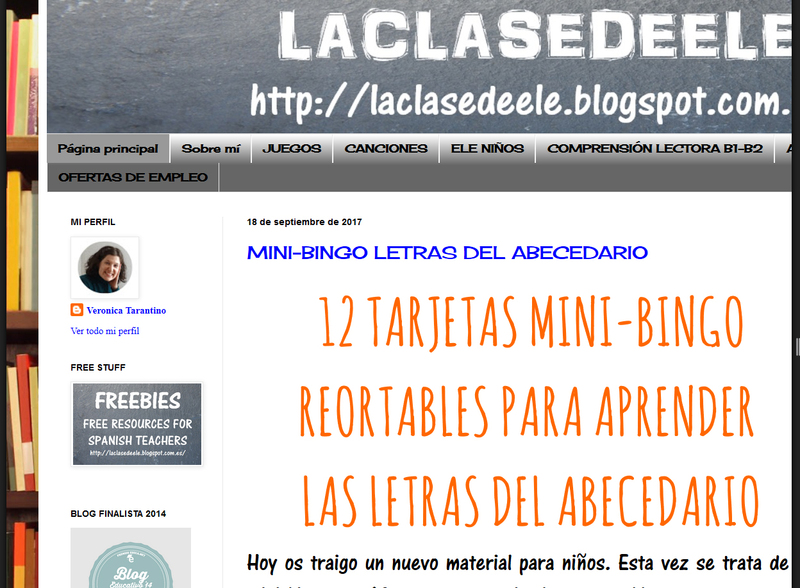 This blog is easy to use with clearly headed sections and a search function. It also offers a free E-book with every email sign-up. Part of the George Lucas Educational Foundation, this blog site promotes innovation and reform for both teachers and students. 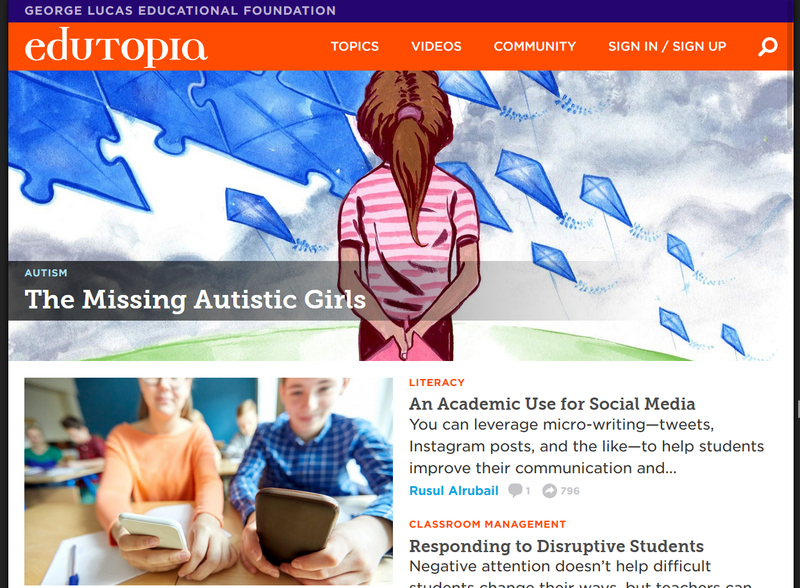 With a focus on a set of core strategies, Edutopia.org offers advice and instruction on implementing new concepts in the classroom. From technology to teaching strategies to social and emotional learning, this site covers many topics accurately and with a considerable amount of information, providing exactly what a teacher is seeking. 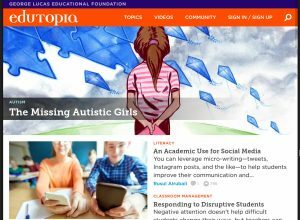 Edutopia.com focuses on teaching and learning from grades K-12, providing depth and range for the site. 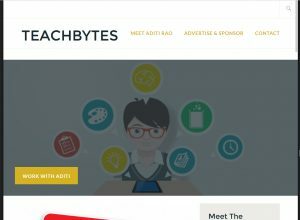 TeachBytes.com offers simple, easy-to-follow instruction in order to motivate teachers to bring technology into the classroom. After all, if the teacher isn’t excited about a new idea, their students probably won’t be either. As this blog emphasizes, much of that has to do with the way it’s presented. It provides links to other online resources, from free online noise level monitors to academic games for students. 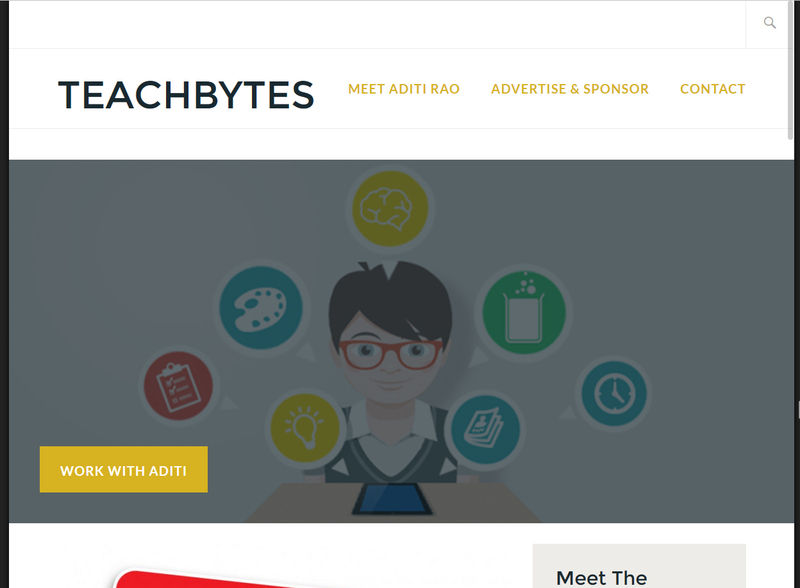 This blog aims to make technology approachable and accessible to educators and bring fun to classroom lessons, garnering a positive response from all parties. Written by a certified teacher, the content is relatable and friendly in tone. Bright, modern, and full of humor, WeAreTeachers.com brings lessons and laughter together. 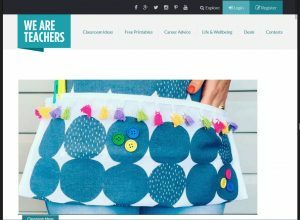 With a host of free resources, ranging from printables to use in the classroom to career advice, this site for teachers offers information in a welcoming, easily accessible way. 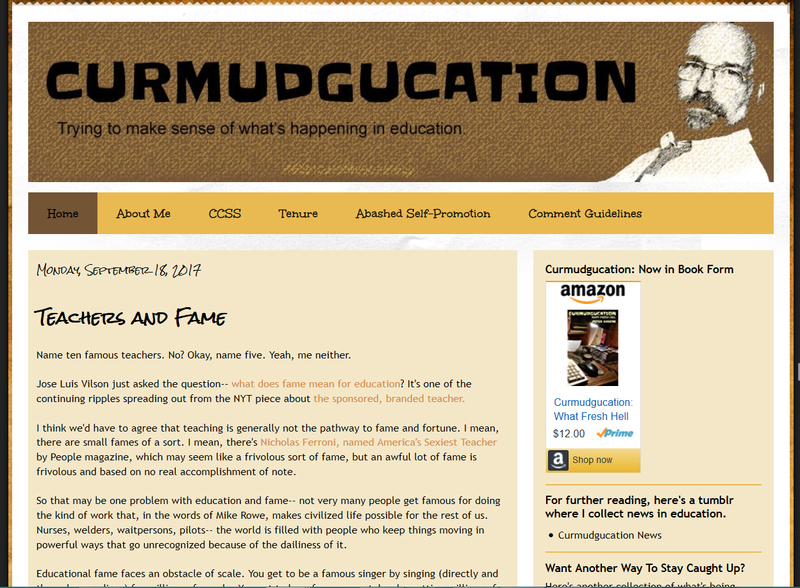 Teaching can be an emotionally draining job, and this blog provides some light-hearted relief with a section dedicated to funny articles. They aim to connect teachers with one another, share ideas, promote community, and offer support and encouragement to colleagues. A resource for teachers and students, this site aims to keep educators informed about the ever-changing world of technology and how they can use it effectively in the classroom. Featuring expert guides, education updates, and product reviews, Edudemic.com is the site to visit for teachers who want an up-to-date overview of technology in education. 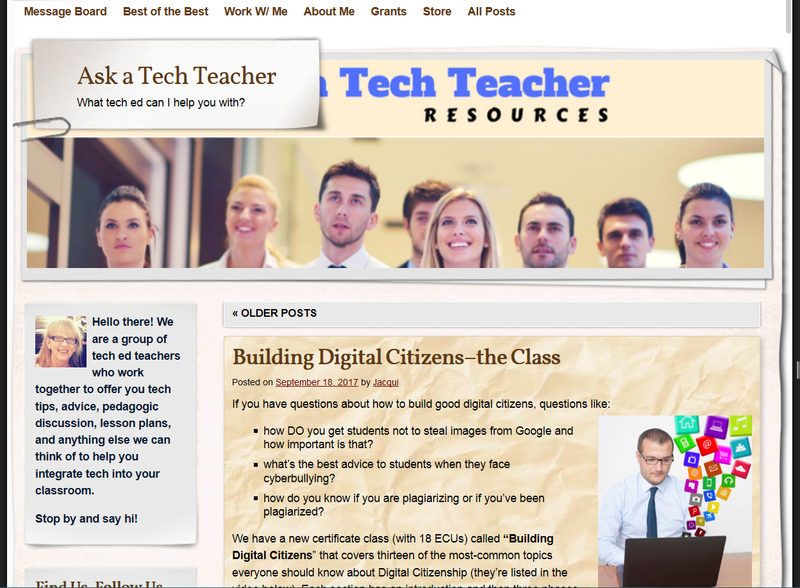 This site also features a series of teacher guides, ranging from how to use Twitter effectively to creating digital scavenger hunts for students, combining technology and education. 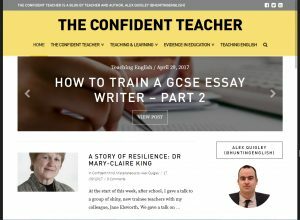 Written by two teachers who are also close friends, this blog has a friendly, welcoming tone and is easy to read. 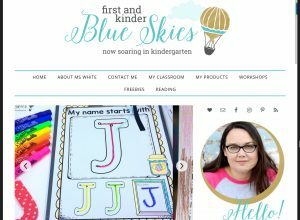 Focusing on grades K-6, WhatTheTeacherWantsBlog.com is an informative site, offering lesson plans, teaching methods, and free printables to make learning fun and effective for younger students. This site features advice on difficult topics, like making homework optional and how to structure guided reading, written in a way that makes them easy to understand. 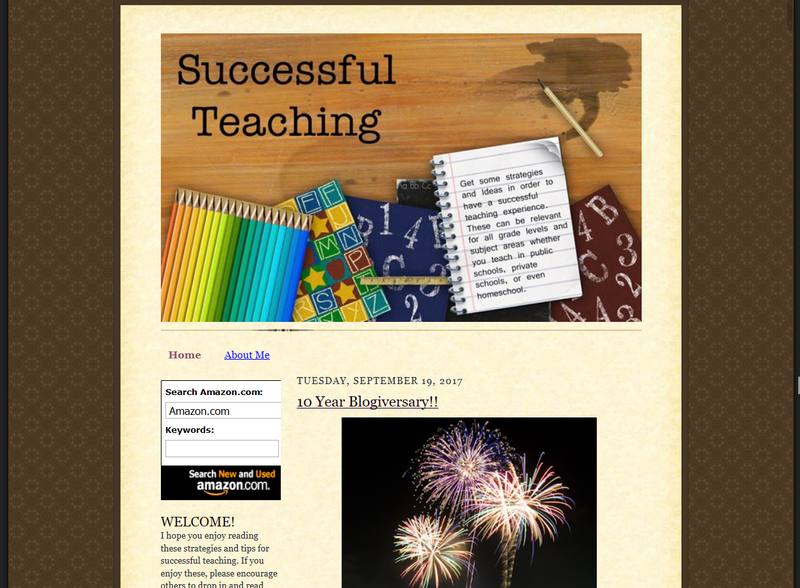 This teacher blog promotes communication between teachers through comments and a frequent newsletter. Focusing on the combination of education and technology and the ways it can bring change to the classroom, EmergingEdTech.com provides an up-to-date look at educational tools and how they create possibilities for learning. 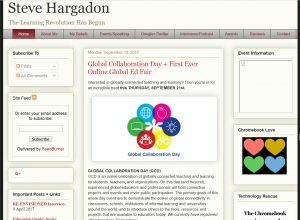 From ways to lower costs through software to bringing educators together from around the world, this site promotes conversation surrounding technology, which can seem intimidating at times. Simple and straightforward, this site offers articles, video tutorials, and everything else the modern educator needs to navigate the world of technology in education. Written solely for college-level teaching, FacultyFocus.com offers educators a comprehensive collection of articles promoting effective strategies for teaching in college classrooms. The site has a collection of free reports, detailing top teaching tips for all areas of academia, and also has an up-to-date list of interesting higher education conferences. This site is a hub of activity, with online courses and seminars available for booking, and subscription newsletters for teachers with particular academic interests. 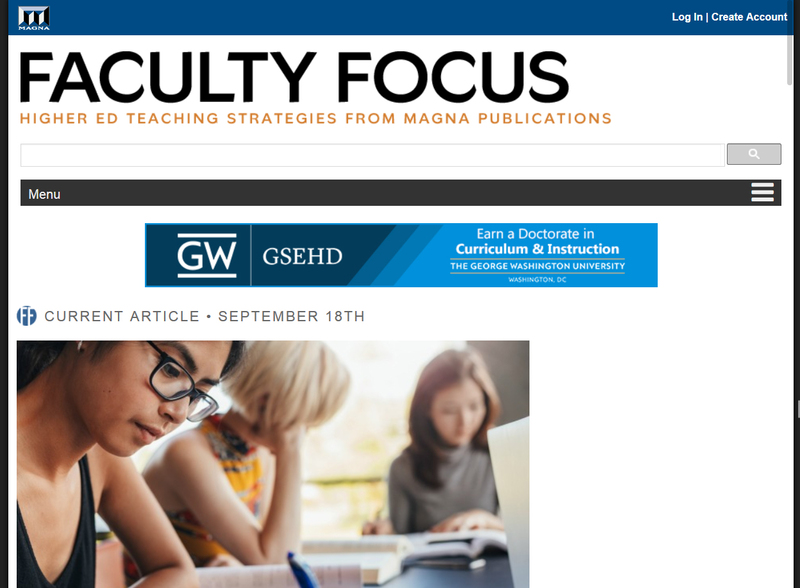 Professional and straightforward, FacultyFocus.com is a powerful, informative tool for college teachers. 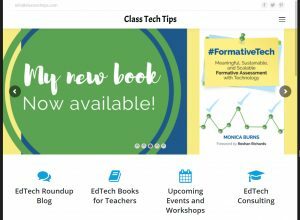 Written for those teaching grades K-12, this technology-based blog offers teachers the resources they seek when it comes to integrating tech into the classroom. 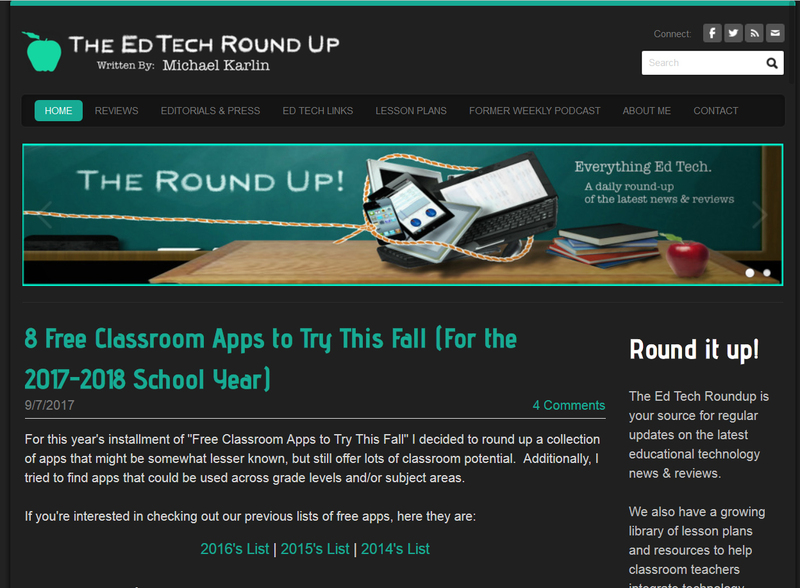 With software reviews, suggested applications to consider, thorough and varied lesson plans, and the latest educational technology news, EdTechRoundup.org quickly and succinctly keeps educators up to date. 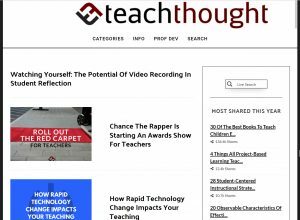 Not only does this site offer tech news and software updates, but it also tackles issues surrounding the use of technology in the classroom, such as cyberbullying, making it well-rounded and informative. 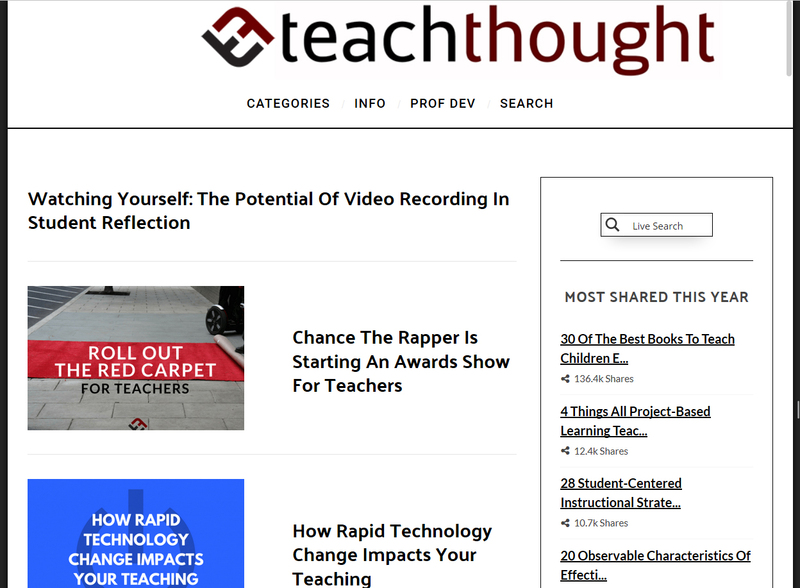 A brand dedicated to innovation in all levels of education, TeachThought.com provides teachers from Kindergarten to college with personal and professional development opportunities. 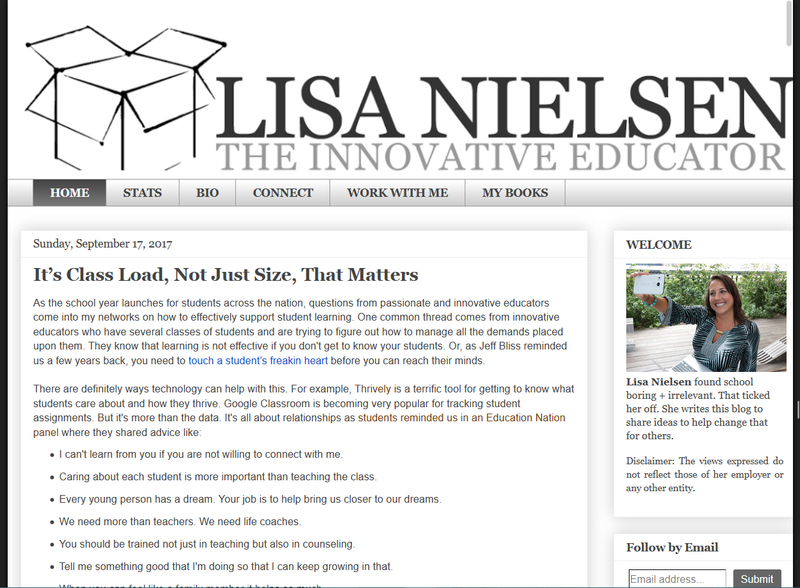 Wanting to push education forward continuosly, this site offers blog posts, books, consultation, and visibility for exciting educational products and services, making it a comprehensive source for teachers to access for a modern classroom. This teaching site features intelligent, thought-provoking articles and a frequently updated podcast, making it a reliable resource for all educators. Simple yet powerful, CatlinTucker.com is written by its namesake, a teacher, author, and trainer. 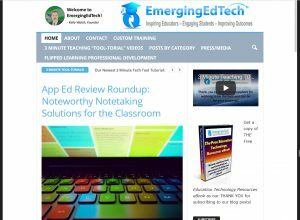 Her site features a thorough list of useful educational resources, tools which work with ‘blended learning,’ combining traditional and modern teaching methods for the best results. With articles detailing problems with particular methods, ways to overcome technological issues, and how to encourage students to overcome and learn from their failures, this site is a well-rounded and informative place for teachers of all grades and levels to visit. Promoting communication, this site is dedicated to bringing teachers together from all areas to share ideas and inspire one another. ForTheTeachers.org provides daily writing prompts for students, full lesson plans with ‘curriculum ladders,’ and teaching strategies to bring the most to every classroom experience. This blog aids teachers in modifying and adjusting lesson plans to ensure every student is successful in their learning. 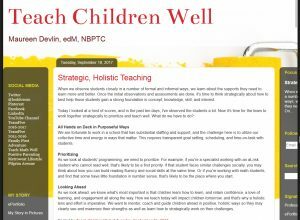 With teaching evolving and being constantly challenged, this site hopes to motivate educators to introduce new and exciting methods to their teaching. With a focus on integrating technology into the classroom, this blog is the result of a collaboration between tech teachers seeking to help their colleagues with any and all questions and concerns. AskATechTeacher.com has a wealth of information and advice for teachers from grades K-12, providing websites, applications, resources and lesson plans. 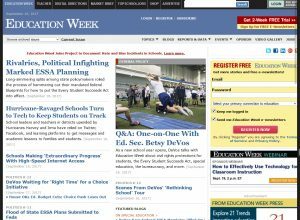 The site is well-written and thoughtful, acknowledging issues that come with technology in education and how best to implement tech in the classroom. This site also features classes that can be taken by teachers and students looking to expand their technological awareness. 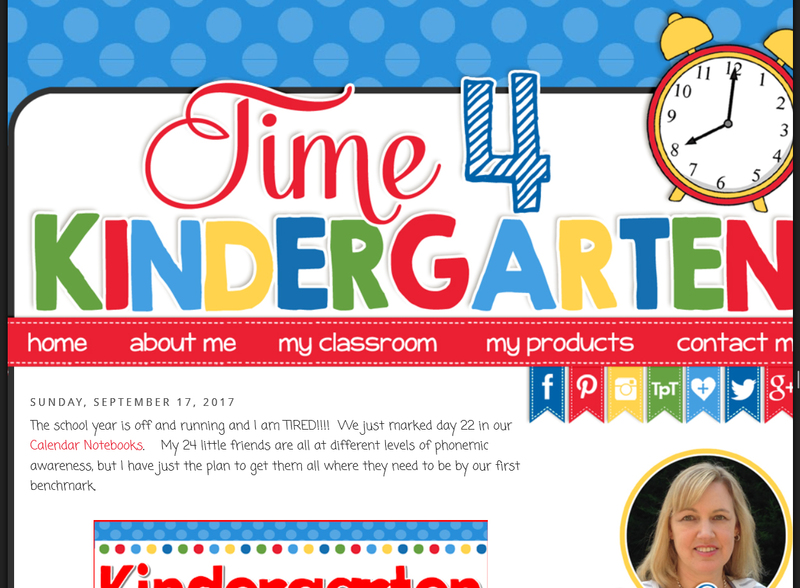 Written by an experienced teacher, this blog site is less professionally orchestrated than some on our list, but is still an incredibly valuable tool for those who teach Kindergarten, Pre-K and 1st grade. 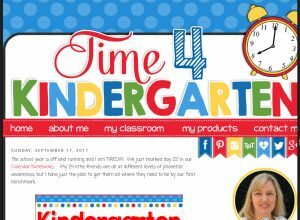 Time4Kindergarten.com covers many interesting topics, ranging from how to create an inviting classroom for young students to organizing an in-class library, offering advice to new and experienced educators alike. 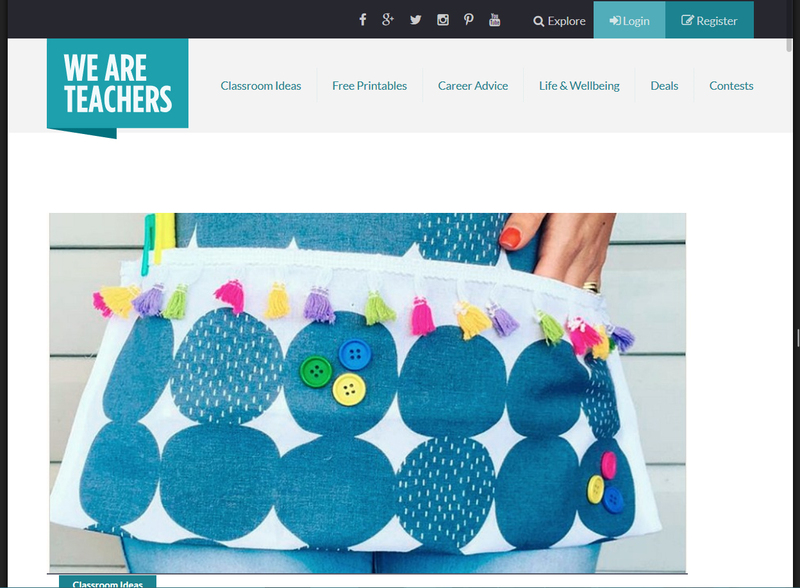 Bright and colorful, this site is written with a warm tone, encouraging teachers to reach out and communicate their ideas with each other, fostering a sense of community. Motivating and thoughtful, TheConfidentTeacher.com aims to help educators achieve their goals in the classroom, using methods to empower teachers to be confident in their roles when passing knowledge to their students. 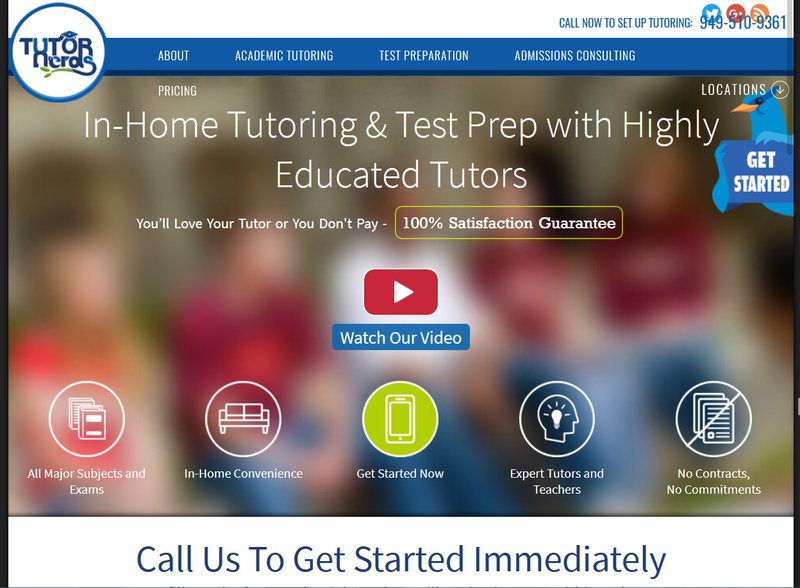 The site has a leaning towards literacy and English, but many of the techniques and suggestions can be applied to other subjects with great success. From being a leader in the classroom to implementing useful revision techniques, this blog seeks to give teachers the boost they need to be effective when communicating with their students. From the mind of an experienced head teacher, this blog focuses on using contemporary methods to deliver excellence in the school system. 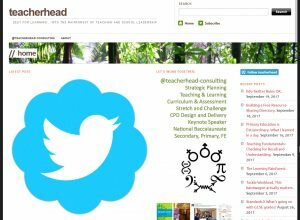 Ideal for both new and experienced educators, TeacherHead.com features easy-to-read, informative articles in interesting formats, such as Top Ten lists, with impressive scope to encompass a wide range of topics. The ‘Great Lessons’ series is a comprehensive look at the ‘habits of teaching,’ which appeals particularly to newer teachers as they consider their classroom strategies. 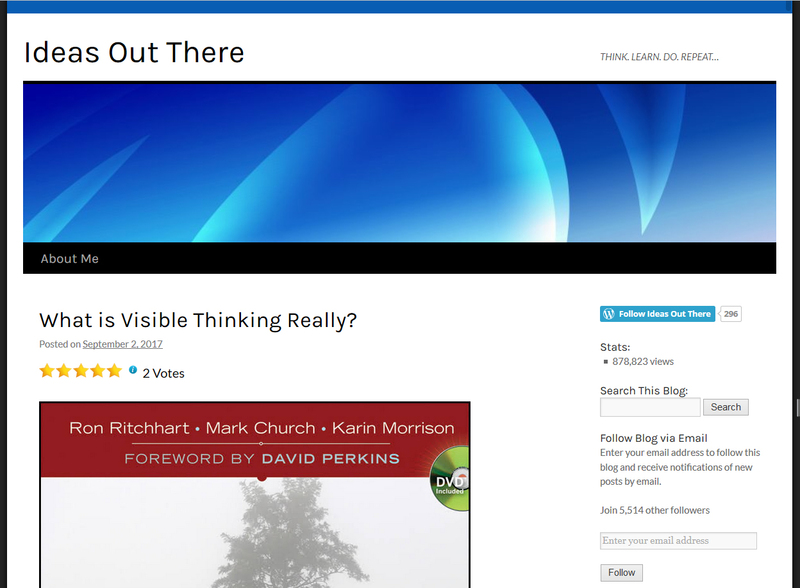 This blog is easy-to-navigate and features a search bar for key terms and ideas. 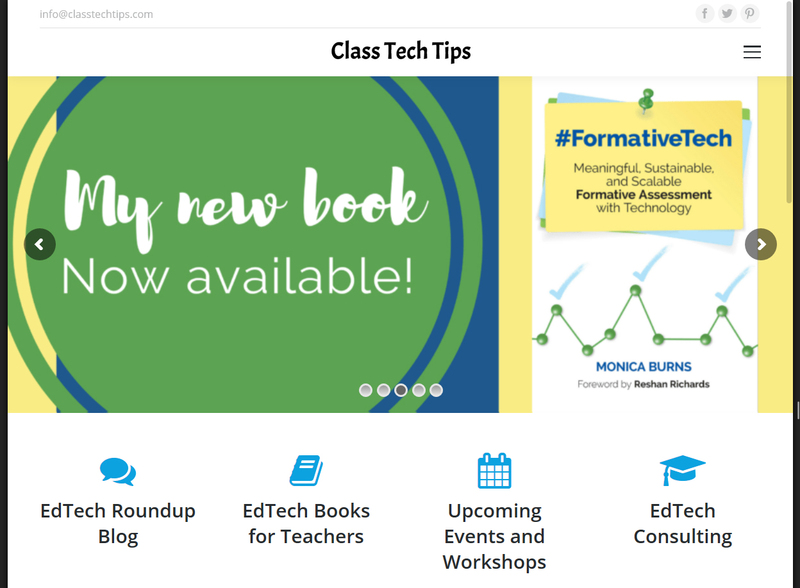 Advocating the use of one-to-one technology in classrooms, ClassTechTips.com provides educators with advice, tips, and tricks to achieve this modern way of teaching. Through the use of personal tech tools, such as iPads, this blog instructs teachers on the benefits of individualized education, such as being able to attend to each student’s needs, and how to achieve good results. From lesson ideas to virtual reality and online tutoring and assessment, this teaching blog provides a stepping stone for educators eager to catapult their classroom into the future. 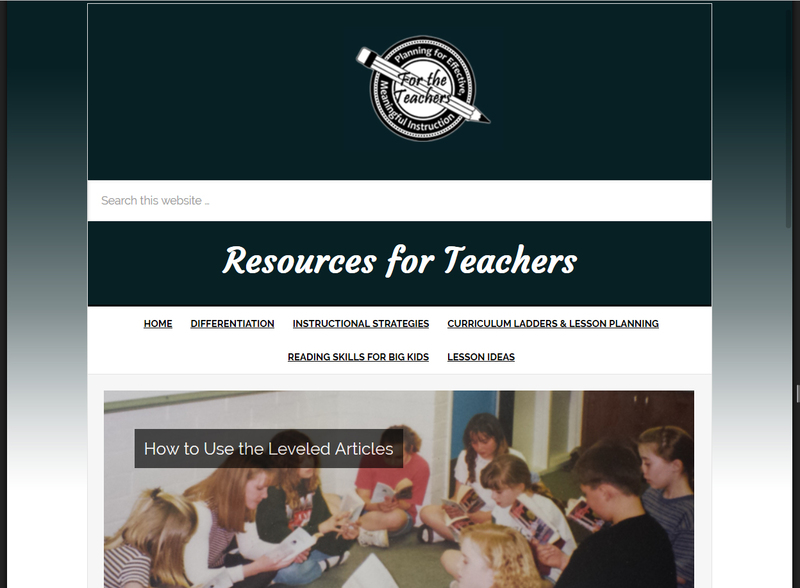 With a focus on literacy, but a broad approach to education as a whole, this blog site aims to make the lives of teachers easier by providing a huge variety of resources and learning ideas. ImaginationSoup.net is striving to expand the teaching community, sharing fun and interesting learning methods, and allowing educators to communicate and connect with each other across the globe. Most articles are book-based suggestions for students of all ages, but the site offers learning resources for math and science, technology, and ideas for preschoolers and elementary schoolers. Having found school boring herself, the author of this teaching site aims to bring innovation to the classroom, aiding in the preparation of students for real-world success. TheInnovativeEducator.blogspot.com examines a large variety of topics that exist both in education and beyond, such as the challenge gender roles pose, how to invite diversity into learning opportunities, and figuring out how to collaborate effectively with one another. 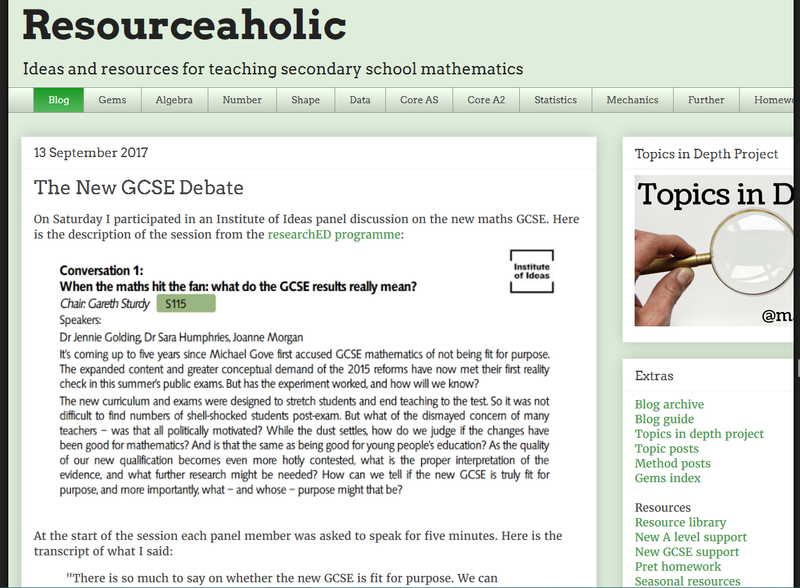 The site is modern and easy to navigate, with well-written articles which encourage thoughtful responses from educators. 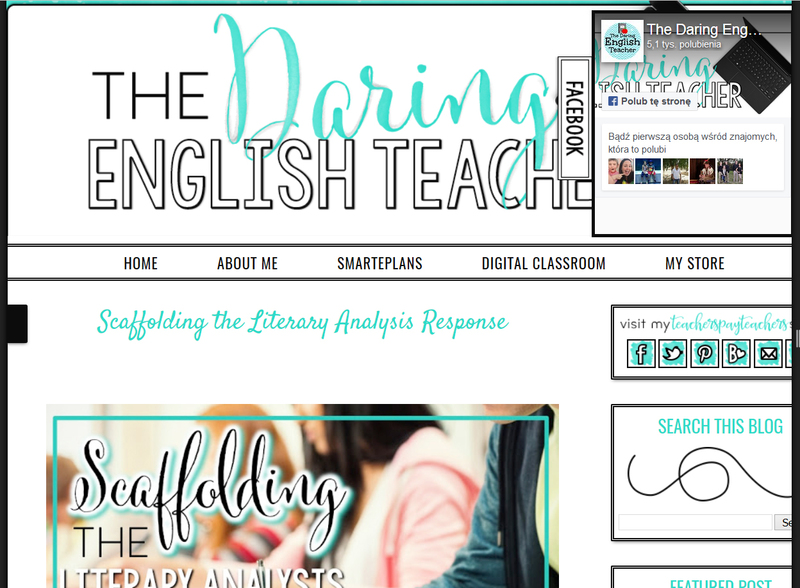 Written by a teacher and literacy coach, this amateur blog site has a bright, modern vibe, inviting teachers to explore topics surrounding the English language. 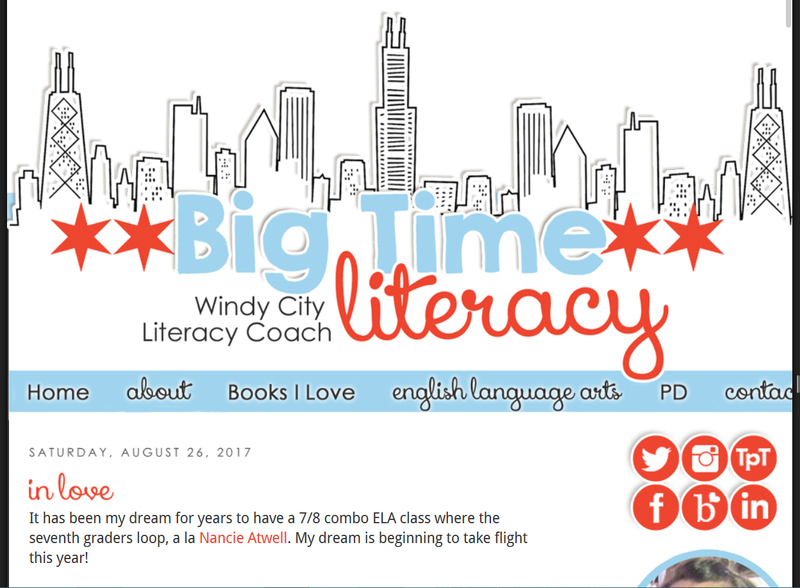 With book suggestions, a section on professional development with accompanying slideshow presentations, and covering grades 1-8, BigTimeLiteracy.com is an excellent resource for educators seeking to improve their literacy teaching. The site also contains many of the writer’s personal thoughts and suggestions, giving the blog a welcoming, relaxed feeling. 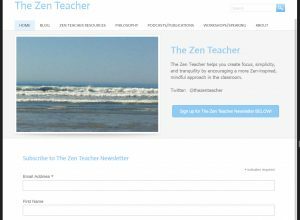 The aim of this blog is to improve mindfulness and encourage peace in the classroom through a tranquil approach to teaching. Featuring short, punchy articles that deliver a message quickly and efficiently, TheZenTeacher.com asks educators to consider their teaching methods, whether or not they act as a leader in the classroom, and what they can do to promote a conducive learning environment. 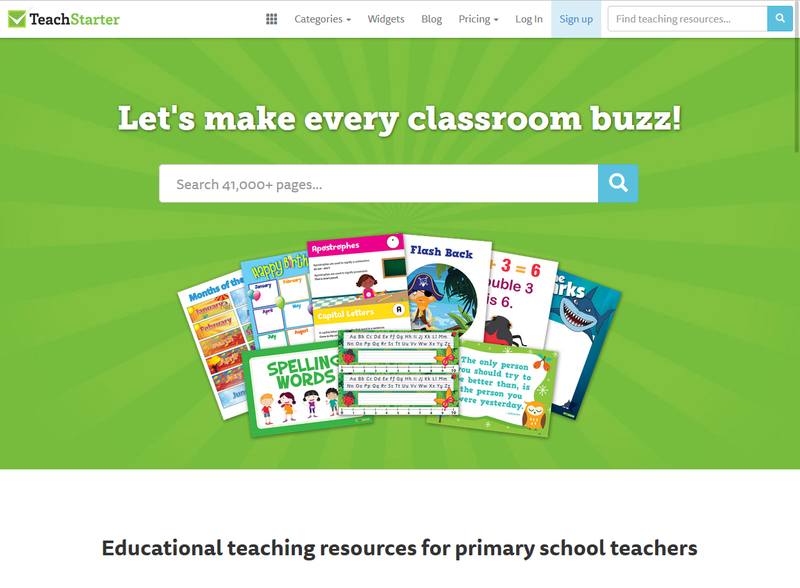 This site helps teachers to declutter, reduce unnecessary distractions, and be open to positive change in their teaching space. 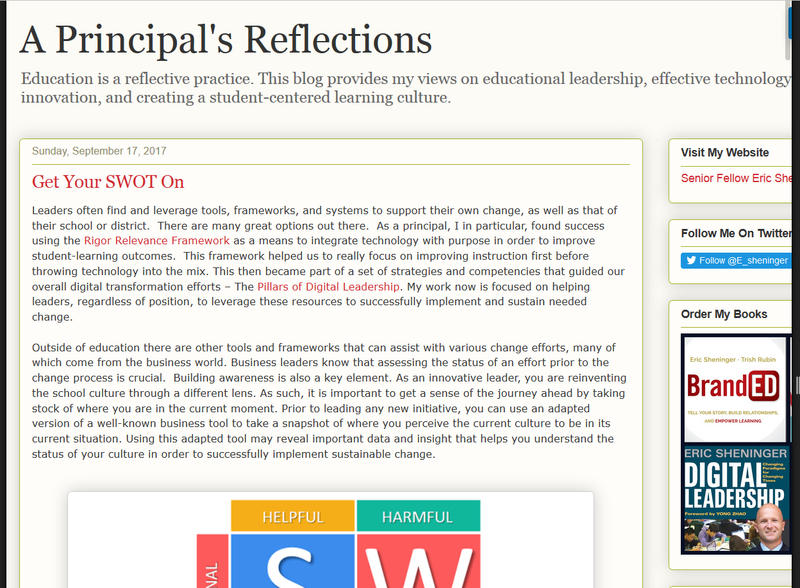 Taking a more personal approach to a teaching blog, this site is written by a former principal expressing his views on leadership in education, the successful integration of technology with schools, and creating a culture of learning centered around the students themselves. 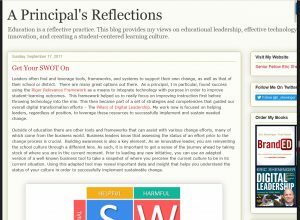 Informal but thought-provoking, Esheninger.blogspot.com encourages teachers to learn from real-world experiences and extend that learning to their students, not only as practical lessons but as emotional ones too. 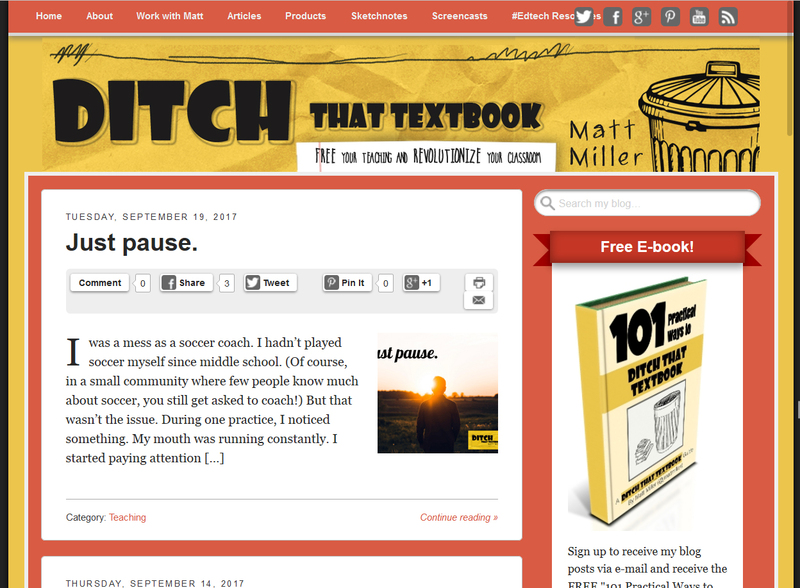 The posts are on the longer side, but well-written and engrossing to read. 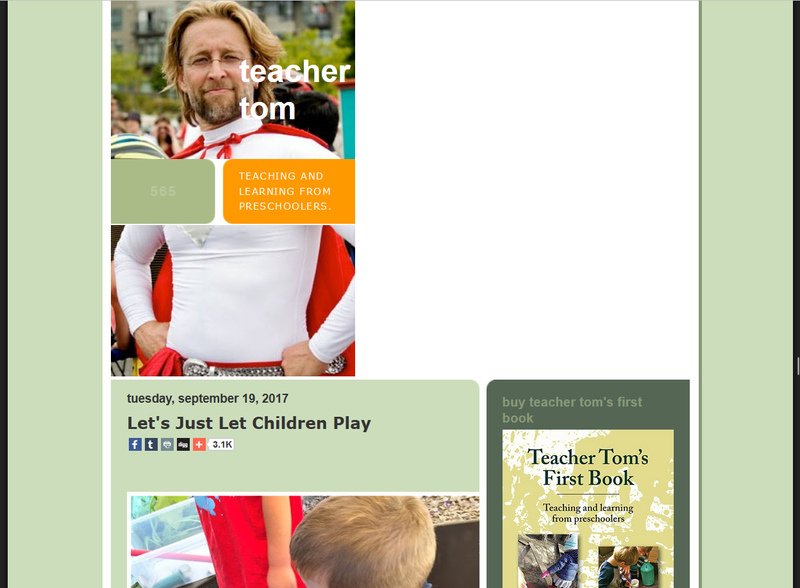 Not as polished as some other teaching sites, TeacherTomsBlog.blogspot.com offers preschool educators a huge amount of advice and resources. 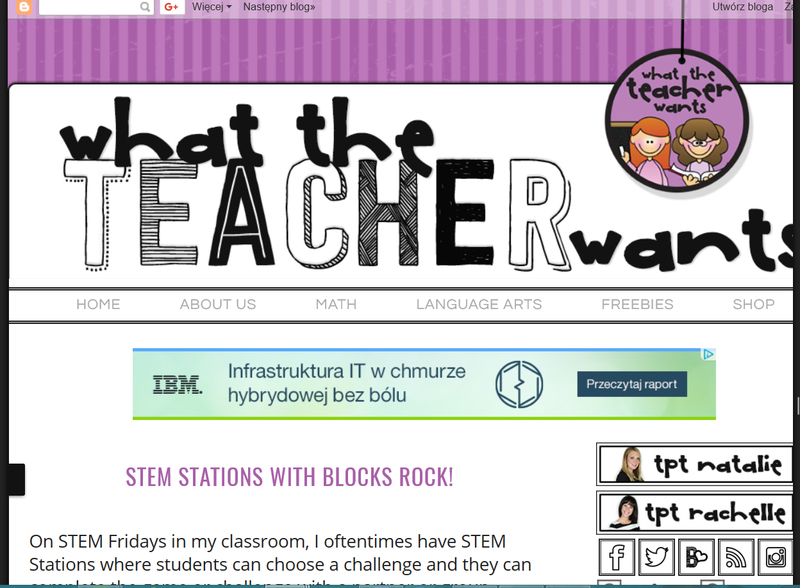 The site encourages teachers to not only teach their students but to be open to learning from them. The author writes from personal experience as a preschool teacher, commenting on how educators are perceived in the modern world and the need for respect both from and towards students. Eloquent and thought-provoking, this site asks teachers of all levels to consider the way they communicate with their students and how this can be improved. 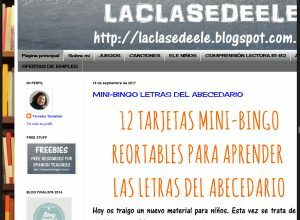 With a focus on Spanish teachers and their lessons, Laclasedeele.blogspot.com provides educational content for students studying Spanish as a foreign language. Suitable for both younger children and adults, this teacher blog encourages fun as a method of learning, offering advice, games, and printable materials designed to keep students interested and retaining new vocabulary. The site also offers considerable resources for educators who want to create their own language games and provides links to online student learning sites, around which lessons can be crafted. Asking important questions like “How do we nurture lifelong learning?” and “How can we transform learning spaces?”, this site pushes the idea of critical thinking in education and encourages teachers to explore and nurture student-centered classrooms. Articles on SeanHamptonCole.wordpress.com are longer than some of the other teaching blogs, but they are well-written, often interspersed with humor to prevent them from becoming arduous. The blog argues against the stiff traditions of teaching, encouraging modern educators to question and change their methods of sharing knowledge. 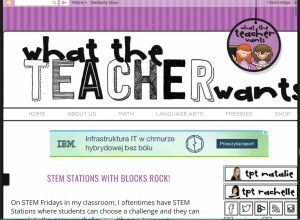 Bright, colorful, and modern, this blog site features hundreds of activities for teachers to browse, all intending to make practical, hands-on learning more accessible to younger students. 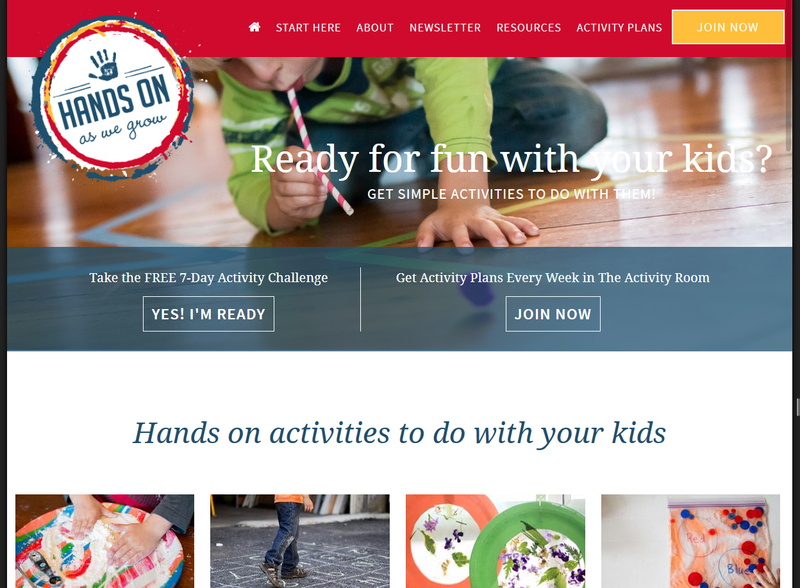 Aimed at both teachers and parents, HandsOnAsWeGrow.com encourages caregivers to let students organically experience the world, through arts, crafts, and encouraging both fine and gross motor skills. Ideal for those teaching preschoolers and grade school students, this blog site includes a host of resources for planning and capturing the activities suggested, which are divided into age-appropriate sections for ease of use. 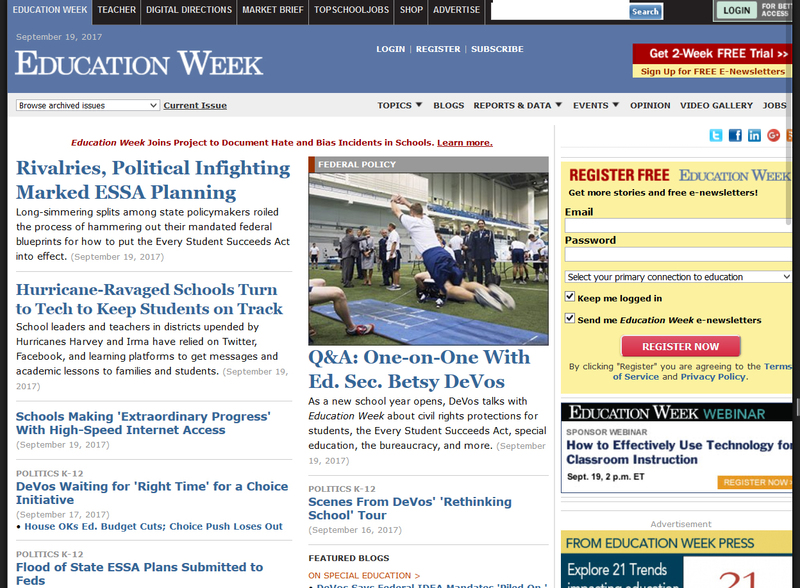 Considered among the best educational news sources, EdWeek.org provides educators of all levels with the most up-to-date discourse regarding education in America. Despite not being a global information source, this site has a phenomenal amount of information for teachers. From the way politics affects education to state-specific news, resources, and job listings; the site provides accurate and well-written material on everything it covers. This site seems overwhelming at first, but each section is labeled, and a search box offers an easy way to find sought-after information. Written by an English math teacher, this veritable treasure trove of resources is specifically for mathematics of every form. 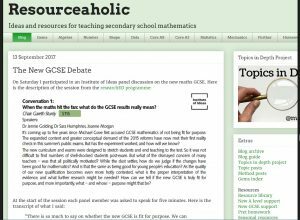 The primary aim of this blog is to create a library for math educators, and despite being written for teachers in the United Kingdom, Resourceaholic.com has information applicable around the world. 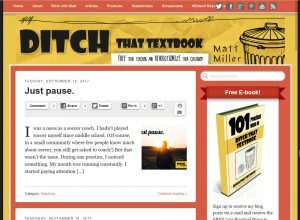 While the blog caters to a huge spectrum of math, the posts written can be used in general teaching. Topics such as creating cover lessons for teacher absences and strategies for handling class work can be applied to all subjects. 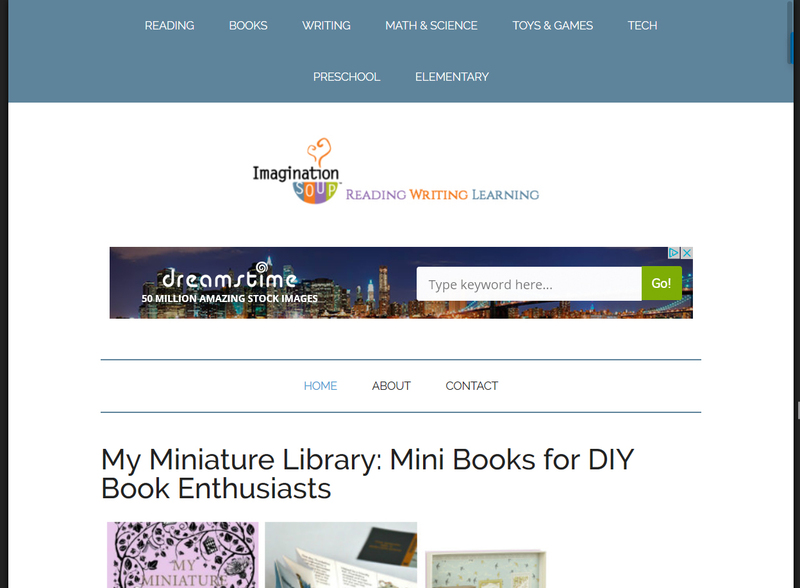 Written by several qualified teachers of different levels and grades, this site is dedicated to improving literacy and inspiring a love of writing in students of all ages. 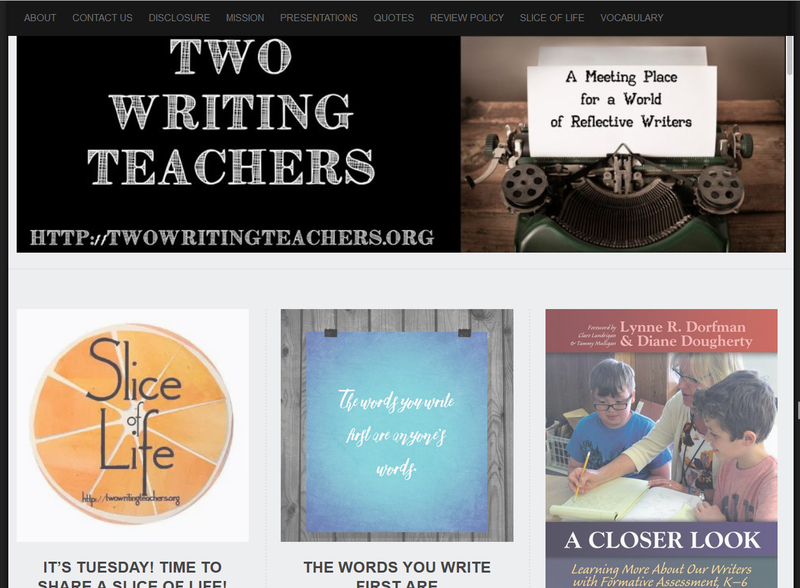 TwoWritingTeachers.org aims to inspire teachers to be their best selves in the classroom, capturing minds in the process through a range of techniques and resources. The site offers a comprehensive run-down of literary vocabulary, inspirational quotes, and information regarding upcoming presentations run by the blog’s authors. Modern and easy to navigate, this blog provides teachers with ideas and methods to create positive and entertaining learning environments. Emphasising community above all else, this amateur-run blog has garnered international reception for its thoughtful and welcoming approach to student libraries. The author has a passion for both education and librarianship, and uses her many years of experience as a guiding point for educators. 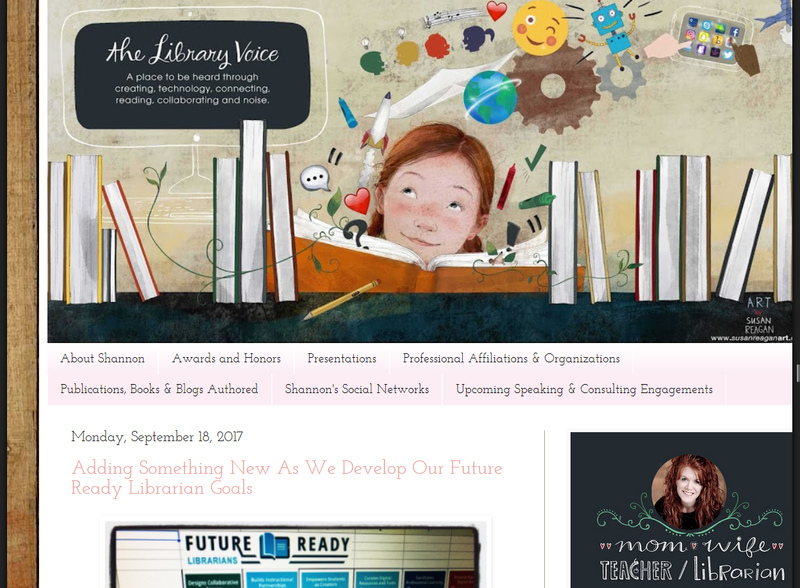 With a focus on literature, TheLibraryVoice.com asks teachers to let students guide their learning through the use of technology and provides resources for educators to follow. 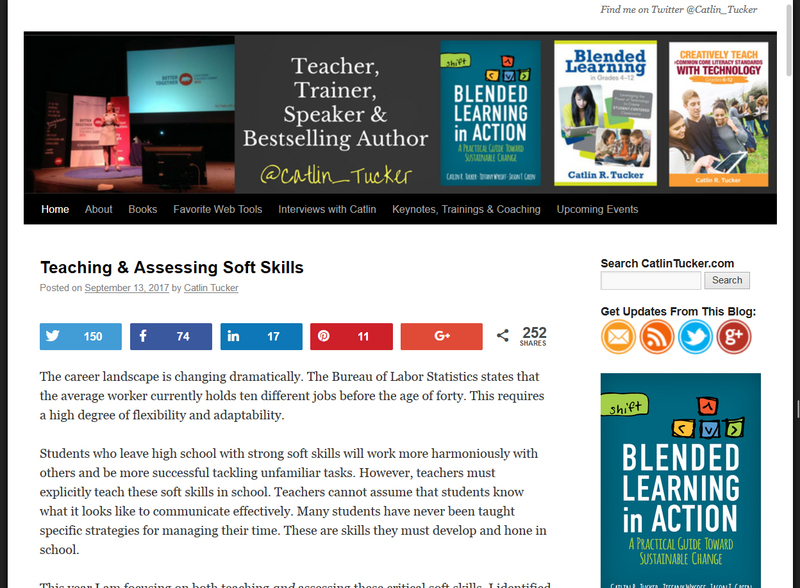 The blog emphasizes being ‘future-ready’ and appeals to teachers with a more modern approach. Promoting passion in education, this blog site drives the idea of educational reform and encourages teachers to give their students the tools they need for success in the real world, not just the academic one. 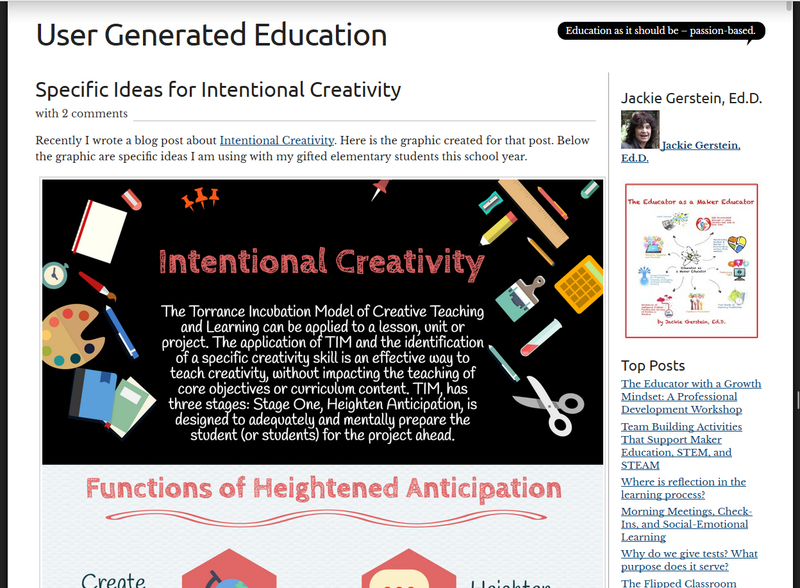 UserGeneratedEducation.wordpress.com features articles advocating the freedom for students to learn in unconventional ways, social-emotional learning, and for the integration of technology with education. While some articles are wordy, they are written with careful thought and contain useful resources, such as free printables, for those who want to implement these methods. Rapidly growing in popularity, this blog site offers the tools teachers need to stay on top of education news and information. 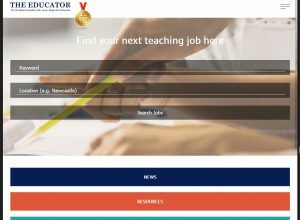 For recent teaching graduates and seasoned educators alike, TheEducator.com serves as a useful tool for those seeking their first or next teaching position. While the job search function is top notch, it is only available for those in Britain. However, this teaching site also offers a host of information concerning lesson plans, learning activities, and expert guest posts, all available for free. 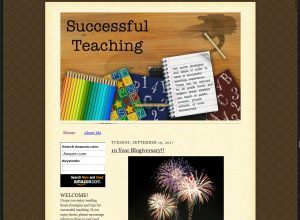 Owned and authored by a seasoned teaching professional, this site offers insightful, sometimes personal advice regarding being an educator. 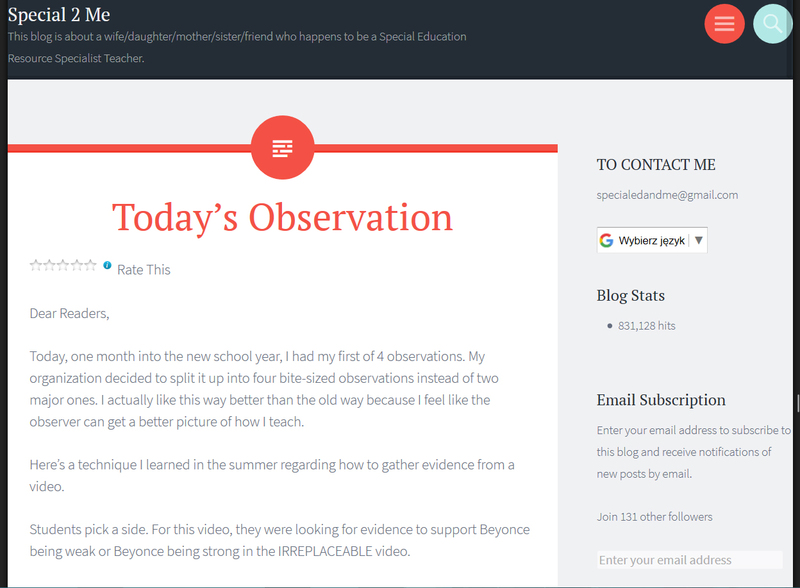 Addressing topics such as maintaining attention in the classroom and whether it is ever acceptable to get angry, SuccessfulTeaching.blogspot.com brings a more emotive emphasis to teaching, promoting communication between teacher and student as a means to solve issues. Featuring book reviews, useful educational links and resources, and some personal posts from the author, this blog encourages a more relaxed teaching and sharing community. 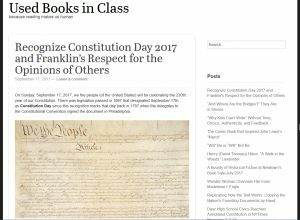 Authored by an experienced first and second grade kindergarten teacher, this blog is a useful resource for fellow teachers of young students. 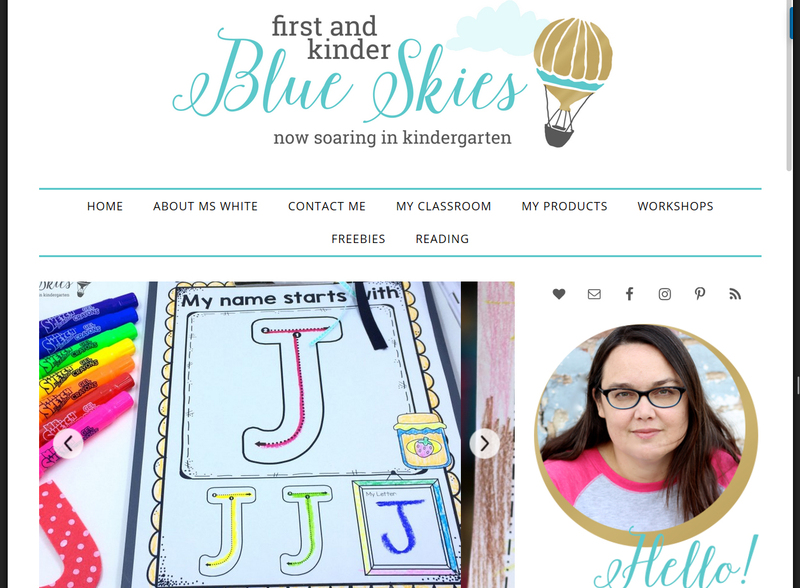 Written with more of a personal touch than some of the other blogs on this list, FirstGradeBlueSkies.com features vibrant, humorous and interesting articles and activities for educators to peruse, with free printables and paid-for resources available. The site is a pleasure to look at, with an easy-to-navigate interface and pictures detailing different classroom set-ups and the activities in action. With a busy layout full of information, this site can seem overwhelming at first. 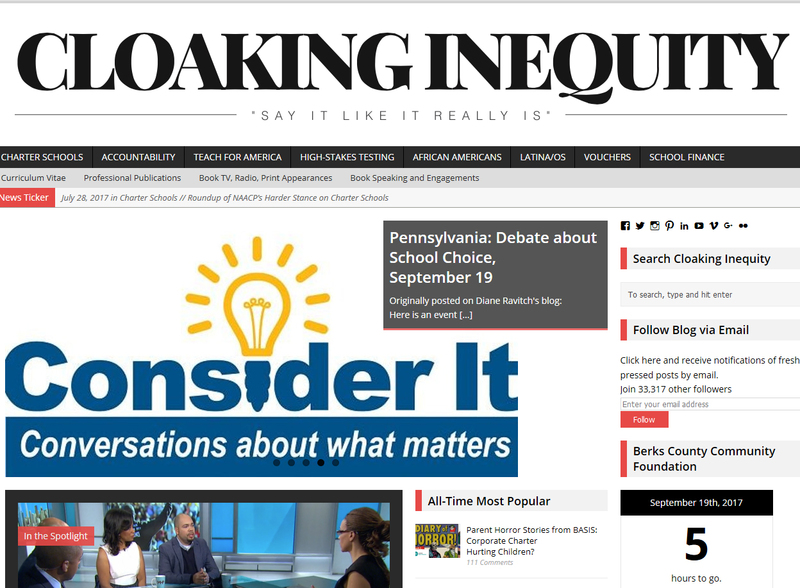 Looking closer, CloakingInequity.com is a powerful voice for challenging inequality in education, with specific sections of the site allocated for minority students and teachers. Featuring podcasts and resources for educators, this site promotes the ideas of wisdom and accountability as core concepts for teaching. 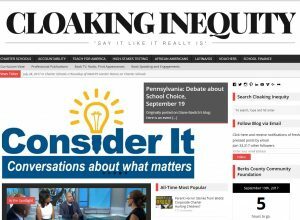 Based in America, the site invites discussion from around the world on topics that affect education globally, giving it both local and worldwide importance. For teachers who focus on special educational needs, this site is a welcome relief to the difficulties it can incur. Offering a place to release emotions and discuss problems that arise, SpecialEdAndMe.wordpress.com invites teachers to share what works for them, promoting a sense of community. Through many personal ups and downs, the author describes her experiences working in special education, providing links and resources for those eager to explore a career in the field. Written from a personal point of view, this blog is touching, thought-provoking, and a must-read for special ed teachers. With a focus on science, this site invites teachers to make science and technology fun in the classroom. 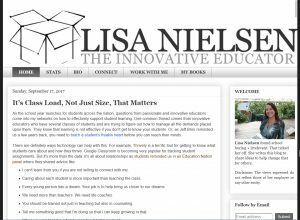 Featuring resources specifically for students, this blog captures exciting and interesting ideas to be studied and discussed. 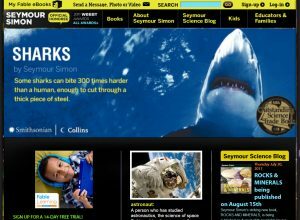 With freebies, entertaining videos, and teacher guides, SeymourSimon.com encourages teachers to listen to their students and truly enjoy their role as an educator, reminding them that they too are still learning and to take pride in that fact. Cheerful and humorous, this site is easy to navigate and full of interesting information. 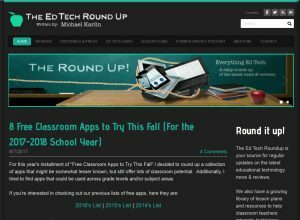 Written by a teacher, who is a self-professed ‘educational technology junkie,’ this site is created for educators who want to bring technology into their classrooms. 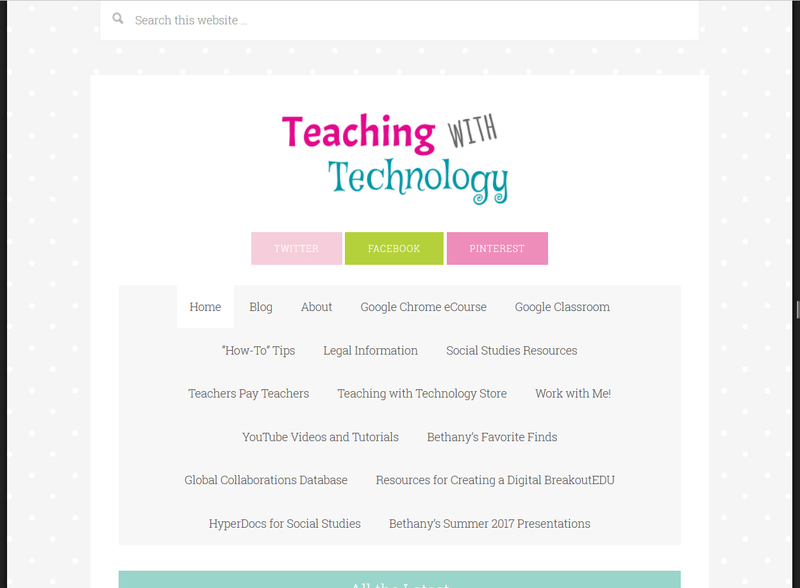 UsingEducationalTechnology.com has a huge amount of resources available for doing this, from links to informative websites to specially designed web courses and a database of global collaborations. With product reviews, personal opinions and reflections, and a guide to YouTube videos and tutorials, this site emphasizes bringing learning into modern times while offering a safe environment to ask questions and express concerns. Emphasising the importance of literature in learning, this blog site discusses not only the used condition of books but also how the books are used in an educational sense. 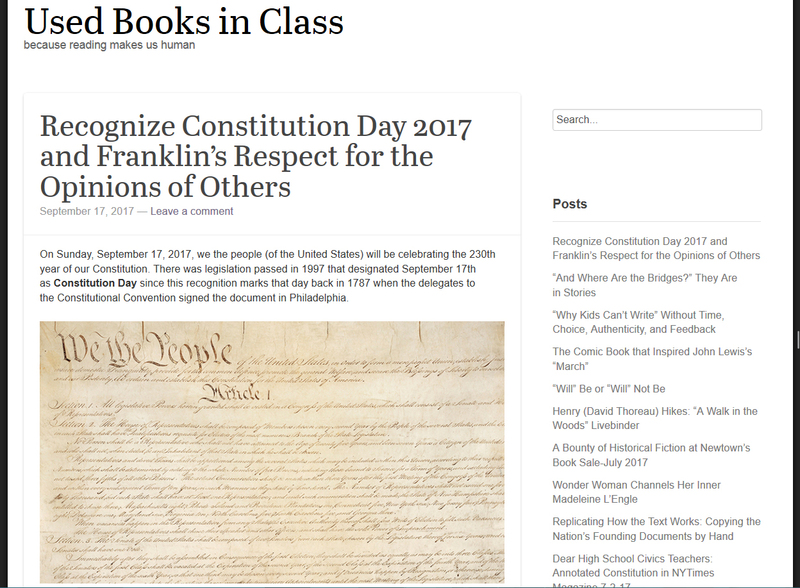 With articles focused on student views, as well as weekly features such as “Poetry Friday”, UsedBooksInClass.com encourages educators to consider how their literary choices impact their classroom and which books may be the best choice for the coming semester. Articles are well-written and thoughtful, making this a good option for teachers concerned about literature in their curriculum. 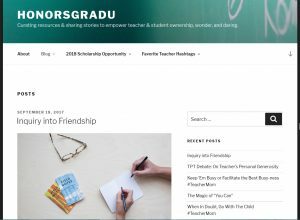 A non-profit blog maintained by a company specializing in graduation apparel, HonorsGradU.com is dedicated to helping teachers to empower their students, allowing them to take ownership over their own education. 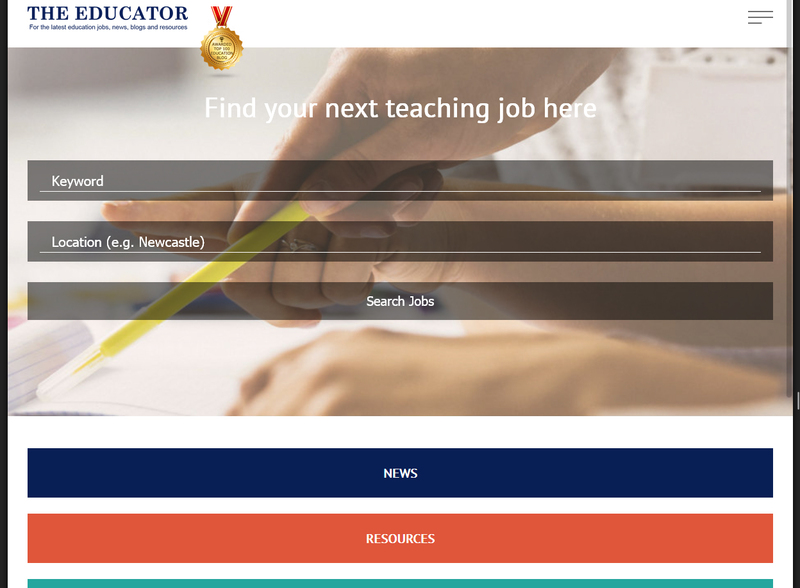 The site has posts covering a range of topics, from professional development to creating a positive classroom and achieving high levels of student engagement, making it a useful resource for teachers at any level. Simple in design, this blog is easy-to-navigate and features search capabilities to find exactly what you want. 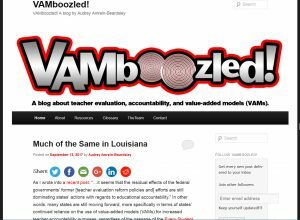 Different from other sites in this list, VAMboozled.com is a blog solely dedicated to the issues surrounding teacher evaluations, value-added-models, and related issues surrounding educational reform and accountability incentives. 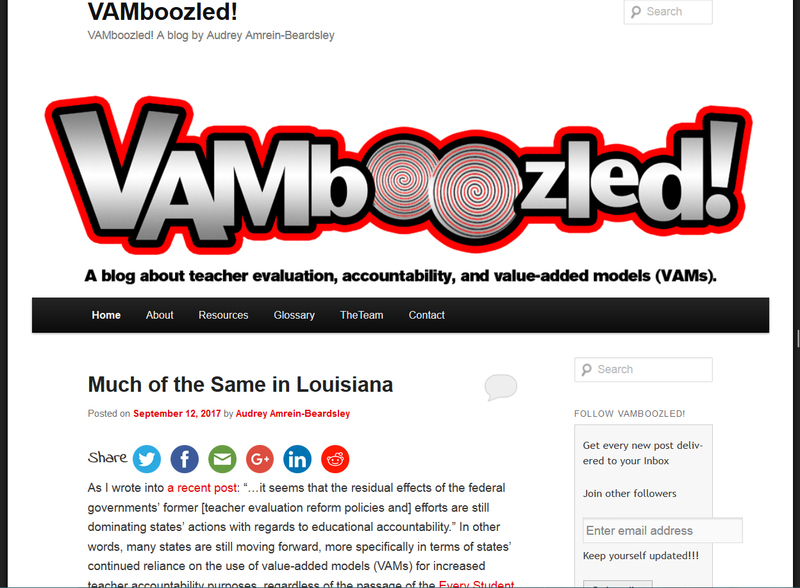 Completely teacher-focused, this blog keeps educators informed of current events regarding VAMs, including those happening internationally, as well as providing useful research reports and critiques, and expert guest posts. The site argues that some of these evaluation methods are unhelpful, and encourages fellow educators to express their opinions on the subject. Focusing on education policy and politics, this blog site is dedicated to bringing unbiased and transparent news to teachers around the world. 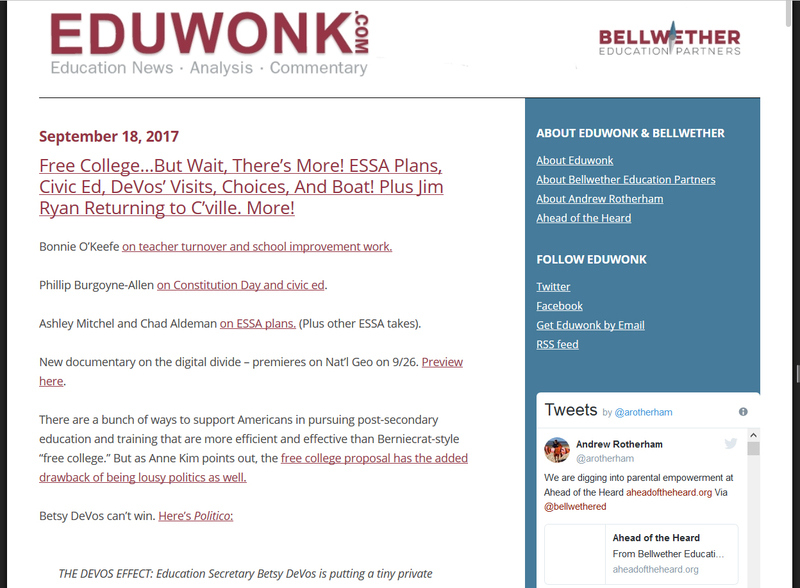 Featuring posts dedicated to job listings, the way current events shape learning, and links to other interesting sites and articles, Eduwonk.com is an easy read, full of well-written and compelling posts. The site encourages teachers to communicate with one another and express their views through commenting, and garners high ratings from top education publications. It’s often called a ‘must-read’ on a range of issues. While the site itself is dedicated to finding a private tutor, TutorNerds.com features an interesting and well-written blog which provides information for teachers and students alike. From eating a healthy diet to perform at the highest standard to scouting out the best libraries and learning environments locally, this blog encourages all educational participants to make positive steps towards effective learning. 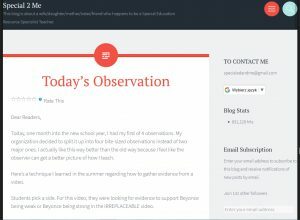 Though geared mostly towards their target audience of students, the blog has some effective strategies which educators can employ in their classrooms. Written by an author who is passionate about learning, this site encourages teachers to seek worth in every student and to realize that learning is a natural behavior which takes place both in educational institutions and out in the real world. 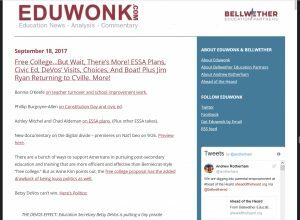 The blog recognizes the struggles associated with educational change and asks teachers not to discuss educational policy, but rather the process of actual learning, to produce better results. 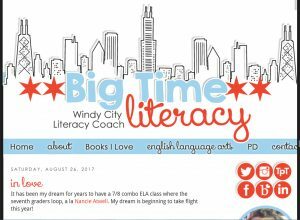 Posts are largely informative regarding upcoming events, but also include links to relevant articles and communities for teachers to explore. 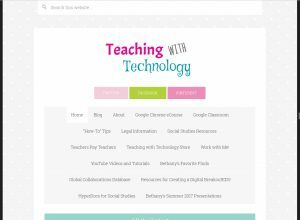 Simple and easy to understand, this site offers free resources to teachers who are seeking to incorporate technology into the classroom and also into their educational management. 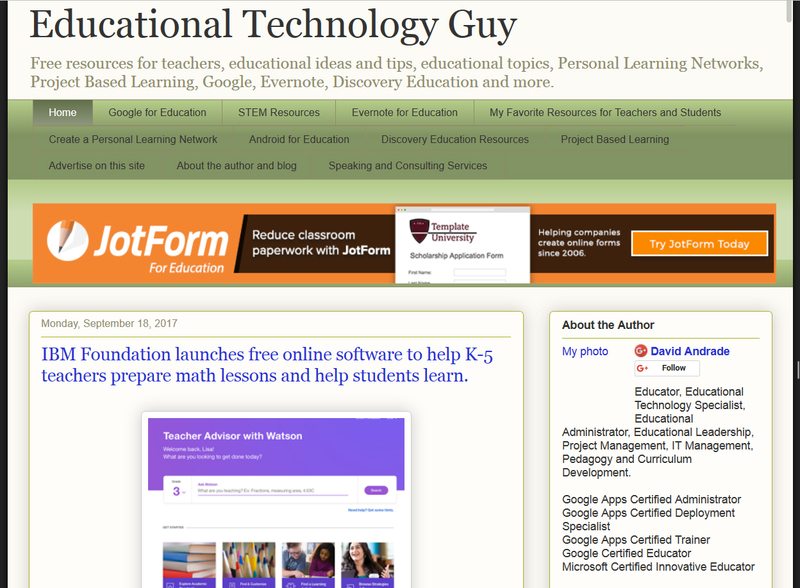 Full of excellent links for both teachers and students, EducationalTechnologyGuy.blogspot.com also offers some more personal and thoughtful posts expressing the author’s views on technology, pedagogy, and general events. The site places huge importance on the idea of creating a collaborative learning environment and giving each student the chance to create their own learning strategies. Likening teaching to ‘a sort of guerilla warfare,’ Curmudgucation.blogspot.com offers a humorous look at modern teaching, commenting on topics ranging from the impact of politics on education to the best and worst parts of teaching. Relaxed in style, this blog is easy to read and draws the audience in, inviting them to express their views through comments. With links to articles written about Common Core Standards as well as educational news, this site is an informative and enjoyable read for teachers of any grade and at any stage of their career. 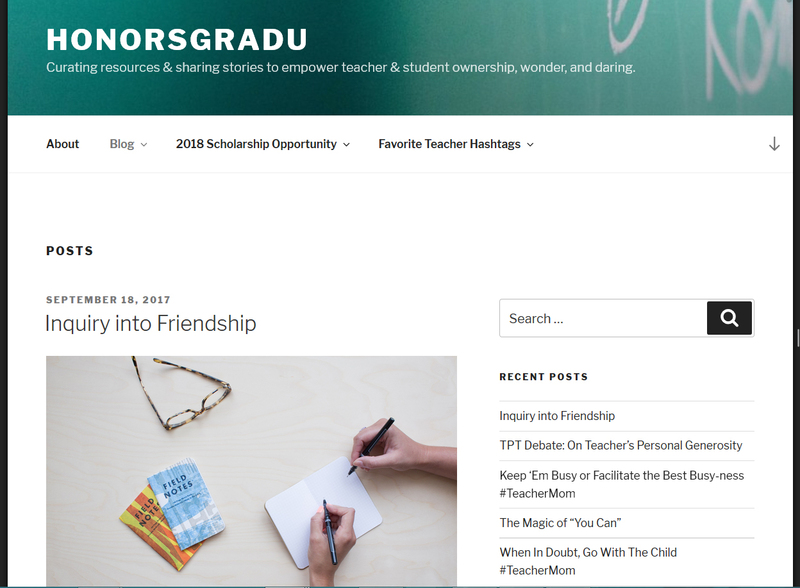 Written by an experienced elementary school teacher, this blog encourages teachers to not only nurture their students and their learning but also to nurture their own professional development and the relationships between educators. Frequently updated, some posts can get lost among others, but with a search bar and clearly marked archive, the site is fairly easy to navigate. This blog features popular posts discussing diversity in the classroom, the responsibilities a teacher has and how to accomplish teaching as a group effort, making it a welcoming space for educators at the elementary school level. 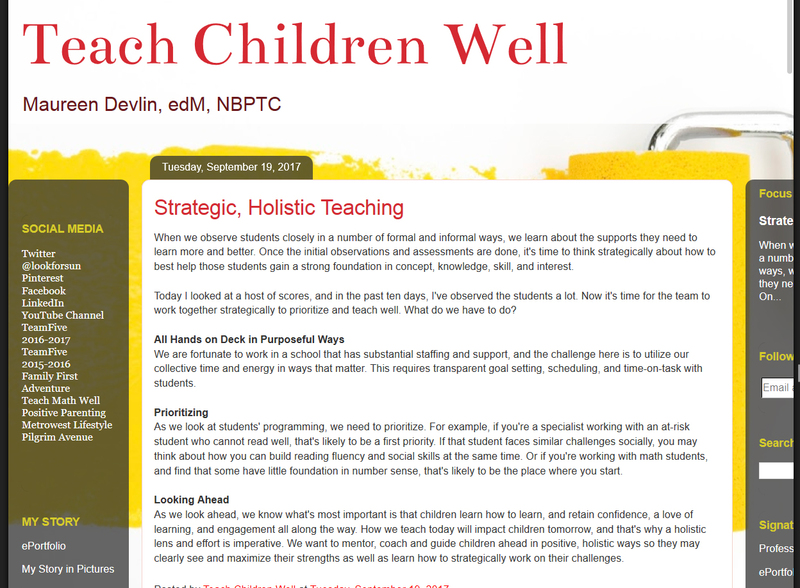 Bright and cheerfully designed, this teaching blog provides educators with well-thought-out methods and advice for creating a welcoming classroom and receptive students. Featuring carefully designed printables available for purchase, TheDaringEnglishTeacher.blogspot.com invites teachers of high school students to think outside of the box when sharing knowledge, with a focus on creating an exciting digital classroom. While this blog is largely literature-oriented, many of the ideas within can be applied to other subject areas to improve the class atmosphere and student involvement.